Viewed from a certain angle, you could say that David Eddie’s whole life is a mash-up of mix-ups, mis-steps, and mistakes. He is so wellknown for getting himself into awkward situations that he’s dubbed himself “Faux Pas-Varotti. ” When he opens his mouth, out comes a seemingly neverending “faux pas-ria” of blunderiffi c blurts. But the benefi t of being such a maestro of missteps, such a sultan of Shame, is that over time he’s learned the secrets to emerging from his screw-ups with dignity intact. In fact, with his extensive experience in error-rectifi cation and blunder-management, he’s become something of a Shaolin priest, a Wu Tang master, of damage control. 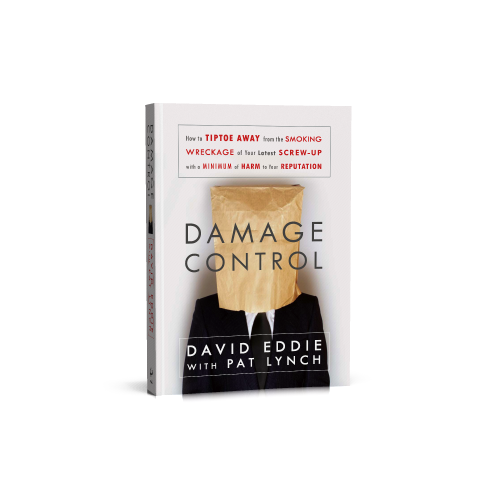 And now for the fi rst time ever in book form, David – along with Team Damage Control (helmed by Chief Operating Editor Pat Lynch) – will share those hard-won secrets on how to learn from, and make the best of, a variety of seemingly devastating situations. 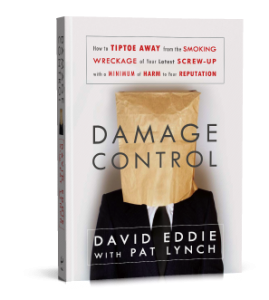 Building on his enormously popular advice column, David provides simple rules for recovery, whether it be to your latest offi ce gaffe or party blooper – or worse. Reading Damage Control is like meeting a good, old friend for a drink when you fi nd yourself on the wrong side of the etiquette fence and need to talk. After all, he’s probably screwed up worse than you and has a great story about it, and he’ll give you honest feedback and practical suggestions. Copyright © 2014 David Eddie. All rights reserved.